Dress reformers had advocated for classical-style high waistlines as early as the 1880s, but it was Poiret’s beautifully commissioned album that most successfully promoted this idea, inspiring a revolution in fashion. Designing free-flowing silhouettes that hearkened the neo-classical style of late 18th century France and using innovative fabric draping techniques, his designs conformed more to natural body shapes which continue to characterize fashion to this day. 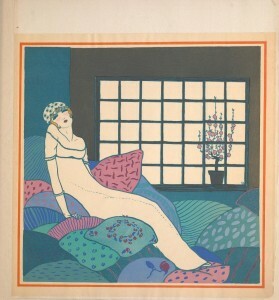 Illustrated by artist Paul Iribe using the labor-intensive hand-stenciling technique of pochoir, this book was expensive to produce and only 250 copies were published. Poiret distributed them for free to select clients as unique marketing tools. 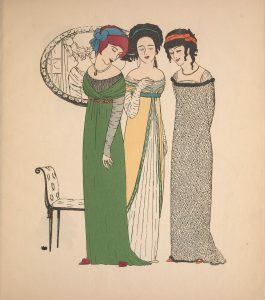 The Cooper-Hewitt Library’s copy is inscribed by Poiret and reads, “A Monsieur Max Meyer, un Américain bien pausière, qui aime et comprené touts les belles choses. Paul Poiret.” This Max Meyer was likely the later fashion industry leader and president of New York’s Fashion Institute of Technology, who would have been a young designer at the time of Poiret’s gift, working for high-end American womenswear companies like A. Beller and Co. This album was so successful that it was followed in 1911 by Les choses de Paul Poiret, illustrated by Georges Lepape and considered by some to be even more beautifully executed than the first! 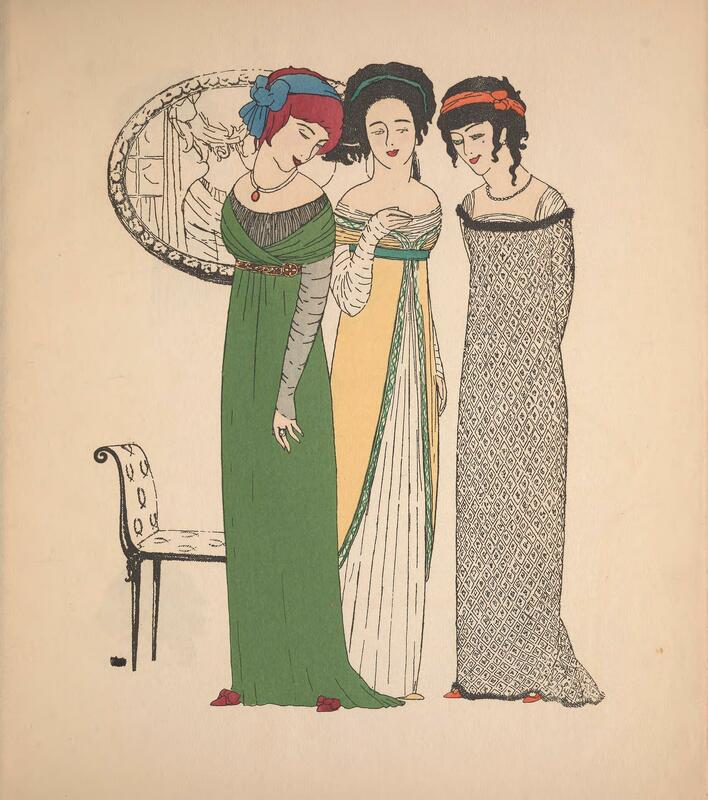 Les Choses de Paul Poiret. (1911) Smithsonian Libraries. In the Heart of the Sea: 13 Facts not in the movie - Snap Tips!